At last... quality gluten free dumplings available for sale! 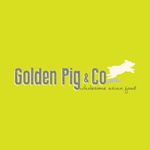 The team at Golden Pig & Co understand the importance of eating good, wholesome food made from ethically grown, local produce, and the nutritional benefits this has on our minds and bodies. With this ethos in mind, and due to multiple allergies experienced by a family member, Golden Pig & Co was born.